What do Berlin, Oslo, and Copenhagen have in common this summer? I may have mentioned in the past that we love to travel to see sports. However, I don’t think I mentioned that the better half is a huge Pearl Jam fan. HUGE! This summer, we have tickets to see Pearl Jam in four countries. Our journey starts off in Manchester, England. A few of our friends will be joining us for this concert. Then, during the first week in July we will be heading to the European continent to see concerts that are taking place in Germany, Norway, and Denmark. To live with such a fan has been quite fortunate for me. We have traveled to different cities in the US to see concerts and to Canada. This works out so well for me. During the non-concert hours we fill up our time visiting new cities, trying new foods, drinking new beers and wines, and having fun. Then at night we attend a concert and get to meet some of the locals. The trip is still in its planning stages. We have the tickets to the shows, travel and hotel accommodations, and travel guides. Now is the fun part, deciding what we want to see. We will have 2-3 days in each country. If any of you have any suggestions, I would love to hear them! This entry was posted in Travel and tagged Berlin, Copenhagen, Denmark, England, Europe, European Continent, Germany, Manchester, Norway, Oslo, Pearl Jam, Travel Planning, Travel Plans. Bookmark the permalink. Years ago i visited Norway. I took a spectacular train ride from Oslo to Bergen. It is a ride FuLL of photo opportunities. Oooo….that does sound nice. I do love taking photos! I’m really looking forward to seeing Norway. Some of my ancestors are from there. I’m trying to keep better records of my travels and I now carry a journal with me when I travel. I want to learn to set aside at least 30 minutes each day while traveling to sit down and write down my thoughts. Great idea! I kept a journal when I went to England and the Netherlands, and I was very glad I did because I have referred back to it many times when I have been telling people stories of my travels. Good to know that it works for you. I’ll keep that in mind when I think, well I can skip today. I’ll do my best to stay focused! That’s so cool! What a great way to discover cities 🙂 I visited Denmark for school and spent one day in Copenhagen. That’s waaaaay too little time because it’s an amazing city! I found Christiana very interesting, it’s a special community in Copenhagen, full of ‘hippies’. They sell treir own crafts and use pot freely. It’s definitely not a family hangout place, but I kind of liked this other side of Copenhagen. When I googled it, I found some messages of the community being closed, but I don’t know if this is true. 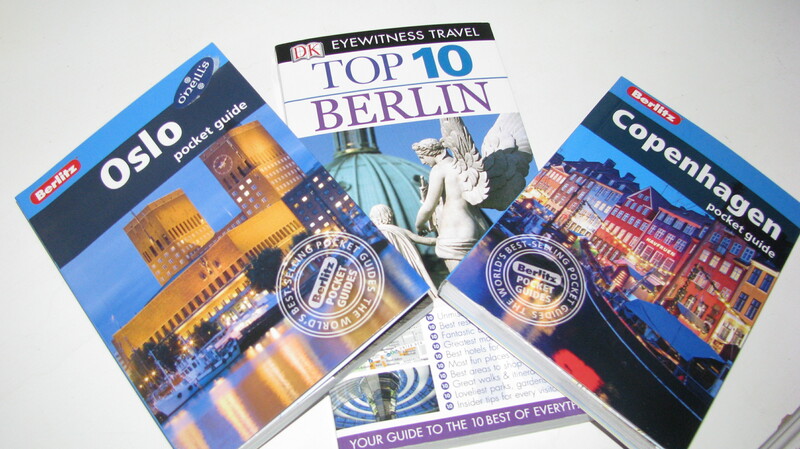 I definitely want to visit Oslo and Berlin too, so don’t forget to write down all the interesting places to visit! I wish I had more time in all of the cities, but I’m hoping since I live closer to Europe I can visit the cities more than once. We’ll see. We had to stick with the concert schedule, but I love making plans around them. It adds to the adventure! I haven’t heard of Christiana. Sounds like an interesting place, and like you said, a way to see the other side. I’ll do my best to keep track of all the stuff we see and do. Great plan! It’s always good to plan ahead so you have things to look forward to 😀 Enjoy! For me, the planning is half of the fun. I love having things to look forward to! It adds to the excitement. The world traveler journeys on! Wonderful, can’t wait to hear about it as it occurs. Congrats! Thanks Carl! I’m looking forward to it! This is awesome! I have only been to Copenhagen and absolutely LOVED it! Can’t wait to read about your adventures and see your photos! I’m excited to see Copenhagen. And I studied German history in school so Berlin will be great as well! I’m excited to share the adventures. I love Pearl Jam….how fun! I’ve been to all places you mentioned but it was years ago when I was studying abroad in France and backpacked around Europe. In Oslo, I took the train north to Bergen where I did a fjord cruise which was spectacular. I was only there three days and am really glad I made it north as it reminded me of New Zealand fjord land and is spectacular!!!! As for the other places, I am sure you will have plenty to do in the cities themselves, especially Berlin which I’ve heard is really cool (it was 1993 when I was there and a lot has changed!). Another Pearl Jam fan! They’re pretty good. You are the second person to mention taking a train to Bergen. I’ll have to look into that! I haven’t been to New Zealand yet, but the fjord land sounds amazing. To be honest, I’m looking forward to all of the cities. Each time I try to decide which one I am looking forward to the most, my answer changes. It will be fun. That is the best part about living in Europe….so much to see and everything is so close!!!! I used to travel there a lot but now have been trying to get out of my “euro obsession ” hence have been going to other places over the last ten years. You will have a blast! I used to be jealous of people who lived in Europe since there are so many beautiful cities. I want to make the most out of this opportunity. I hear it is lovely! I recently started to drink beer. I never used to like it. Then we started going to different breweries for tastings and slowly I started to develop a taste for it. I prefer darker beers. I’m excited to try some German beers! Another Pearl Jam fan–they are everywhere 🙂 So I shouldn’t ask for coffeeshops in Berlin 🙂 I may have to now, just so I can see if I get the same reaction. That’s a shame you couldn’t make it to Copenhagen. I hope you get to see Finland! What a fun adventure you have planned! Will await the photos later this year. I hope to have many photos to share! Thanks Nia. I’m really looking forward to it. You will be on the go this summer! I hear Berlin is fast becoming a really dynamic place for visitors, but I think I would enjoy Oslo most of all. Almost 24 hours of daylight! I didn’t even realize about the 24 hours of daylight! That will be an experience! I will probably need a vacation after my vacation to rest up.